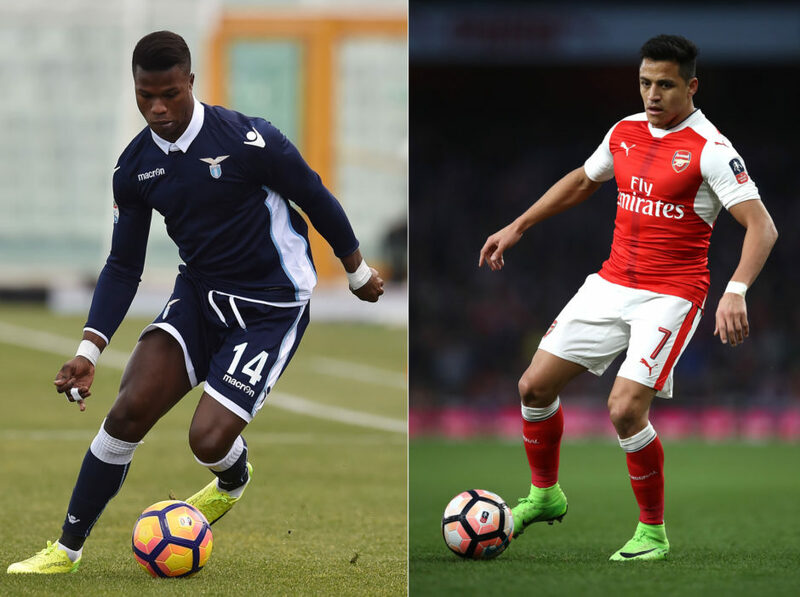 Juventus are monitoring the situation of Arsenal’s Alexis Sanchez and Lazio winger Blade Keita. Given that Allegri looks increasingly likely to remain at the club and continue with his 4-2-3-1 formation, there are reports that Juve may look to sign new wingers to help accommodate the new look attack. Marko Pjaca has been ruled out for at least 6 months following his injury in Croatia’s friendly with Estonia while there are rumblings that Mario Mandzukic may yet be sold to make way for a more natural left-winger. Top of the list is Arsenal forward Alexis Sanchez who may yet leave the club in the summer having made his feelings clear in a recent interview in his native Chile. Sanchez has been a long-standing target for Juve since his days at Udinese and again when he departed Barcelona. Speaking to RadioVS, Corriere dello Sport journalist Antonio Barillà suggested that Juve may yet make a bid for the winger who could be available for around €30m. Next up is Lazio’s Keita Balde, a flexible winger who’s able to play on either flank and possibly available for considerably less. His current contract runs until 2018 and he’s yet to agree a renewal with Lazio following an impressive season where he’s scored 8 goals and provided 2 assists in 23 games. According to Sky Sport Italia’s Gianluca Di Marzio, Juve are closely monitoring Keita’s situation and have made contacts with his agent while Fabrizio Romano suggests the Senegalese is top priority for the Bianconeri, along with Fiorentina’s Federico Bernardeschi.